Leeds law firm, Blacks Solicitors LLP, has today announced it is donating at least £10,000 to charity this year as a result of several fundraising events and activities throughout 2017. 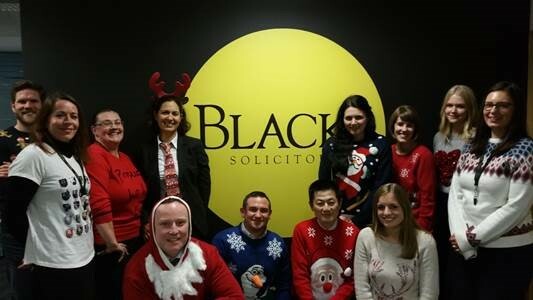 From charity lunches, golf days, family events and Christmas jumper days, the charity team at Blacks has been busy raising money for a variety of fantastic charities. Nominating Dementia UK as its main charity for 2017, Blacks has managed to raise over £5,000 for this amazing cause alone. Dave Paterson, partner in the Corporate Team and head of the CSR Team at Blacks, said: “2017 has been another successful year for the Blacks Charity Team. We are delighted to be able to give back to several extremely worthy causes that are close to our hearts.